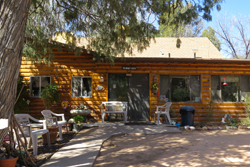 You are invited to attend an APW Writers’ Retreat in the cool pine country near Payson, at the Merritt Lodge, July 27-28. Enjoy an overnight stay that includes 4 meals for a discounted rate of $95 (for reservations made by June 26). Bring a friend or spouse and mingle with writers, artists and other creative people. You can enjoy some R&R in this scenic, peaceful setting, or opt for guided activities geared to boost creativity and explore new opportunities. See APW Rim District website for more photos, details and to download a registration form. You can also contact Carol Osman Brown via email: carolosmanbb@gmail.com or call 928-468-9269 or contact Gail Hearne at 928-472-7132.